What would you do if you had unlimited courage? The definition of courage is “the ability to do something that frightens one. It is strength in the face of pain or grief.” Meet my friend Erin Harris, she has been the pool manager and head swim coach for more than 25 years at Friendly Park Pool. She is one of the most dedicated professionals I have ever met. During the school year, she teaches Spanish and physical education for a private elementary school in Greensboro and coaches the Grimsley High School swim team. Summers are usually crazy for her and three years ago, I realized how many hours she worked so I called her to kidnap her and take her downtown for an hour or so. That was the launch of an awesome friendship, so the news came really hard that her cancer was back. 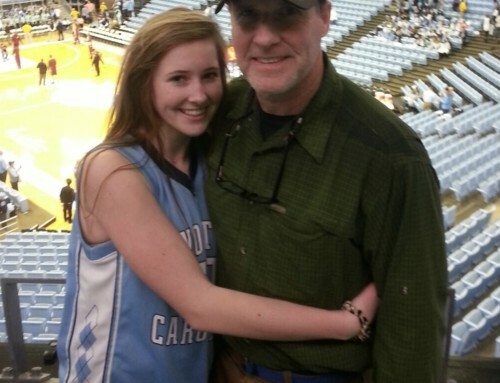 Erin had breast cancer 15 years ago, and in June, she learned that her cancer is stage four melanoma and it’s in multiple places. 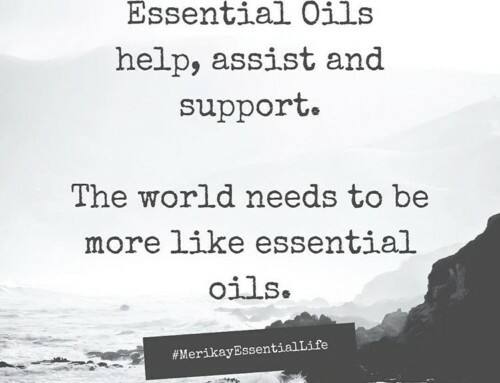 Thankfully, she is on two awesome drug therapies (according to my brother-in-law who is an oncology pharmacist) and her courage is off the charts! 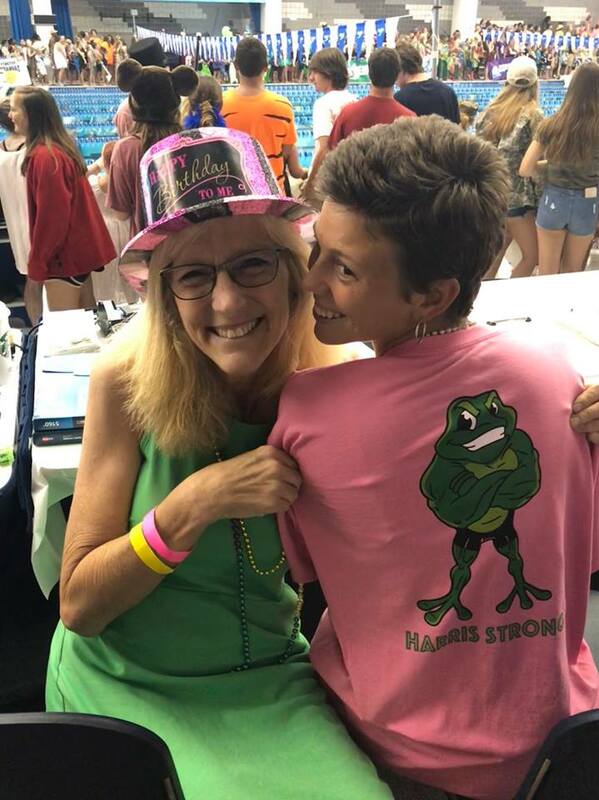 The swim team surprised her at the city swim meet by wearing bright pink T-Shirts during the parade that displayed Harris Strong. I was instructed by the swim team parent rep to sit with her and gently warn her something special was going to happen. Erin never asks for help – she’s always the one helping others. How wonderful that a teacher set up a meal delivery schedule and a pool member created a GoFundMe site on her behalf, all of this in the matter of days. The Friendly Frogs took home the first place trophy at the city swim meet and it was awesome to celebrate with all the swimmers, parents and coaches. Erin is counting her blessings, taking things one day at a time and now that swim team season is over, she started coaching the synchronized swimming program. She has a ‘never quit’ attitude and unlimited courage.